Published 1868 in Smedley's "Practical Hydropathy". 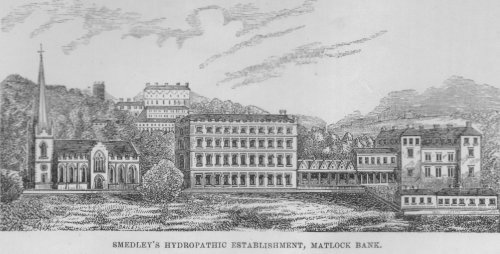 Dated 1875, from a sketch of plans of Smedley's Hydro. 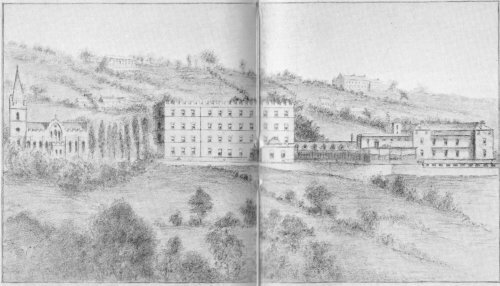 In the 1875 sketch, the size of the original Rockside buildings seem to have been reduced, perhaps for political reasons. Broome Head Lane has been renamed Smedley Street, a worthy honour. The chapel has been replaced by the Winter Gardens.